A proper chamois crème has the ability to transform a good ride into a great ride. 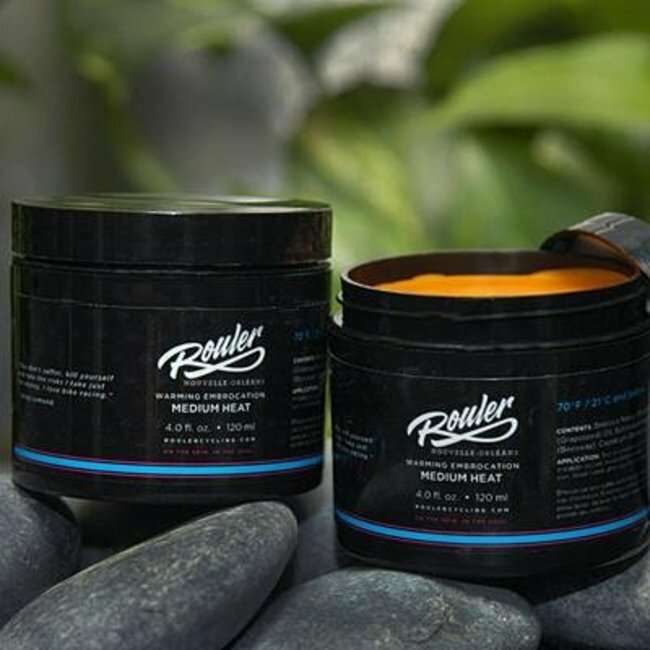 With a scent reminiscent of a springtime ride through the Garden District of New Orleans, our handcrafted formula contains lubricating and anti-bacterial ingredients that help minimize the irritation caused by long periods of time in the saddle. We offer a men's and women's blend with the only difference being that the men's blend also contains menthol and peppermint for additional cooling and "vibe". Please note: Our pots are hand-filled with 120ml as specified. However, please be aware that this may not completely fill the packaging pot supplied.